Some of the most coveted footwear in menswear these days could easily be mistaken for the kind of kicks you’d only ever see in the great outdoors. Salomon and Vibram, two relatively obscure mountain-footwear-centric brands, have become household names in fashion. The next hit Balenciaga sneaker looks like it’s straight from the REI catalog, complete with a super-grippy outsole and an extreme lace-up vamp. And surging labels such as Kith and Our Legacy have gotten in on the trek-sneaker action, too. 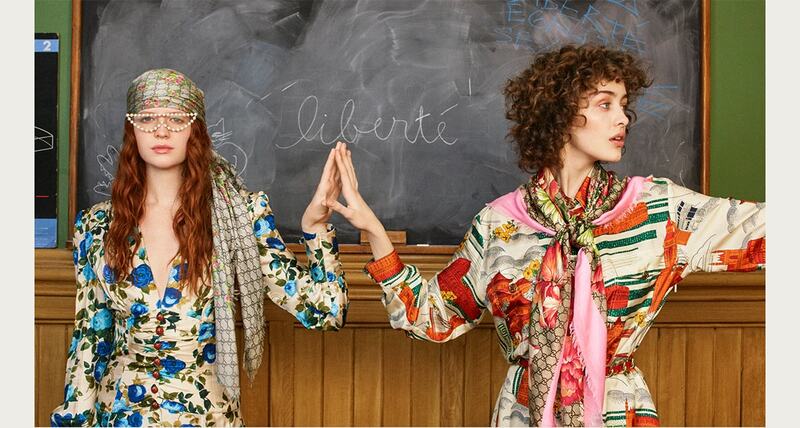 And now Gucci has officially arrived at the hiking-shoe party—and true to designer Alessandro Michele’s maximalist form, the brand’s take puts everyone else’s to shame. 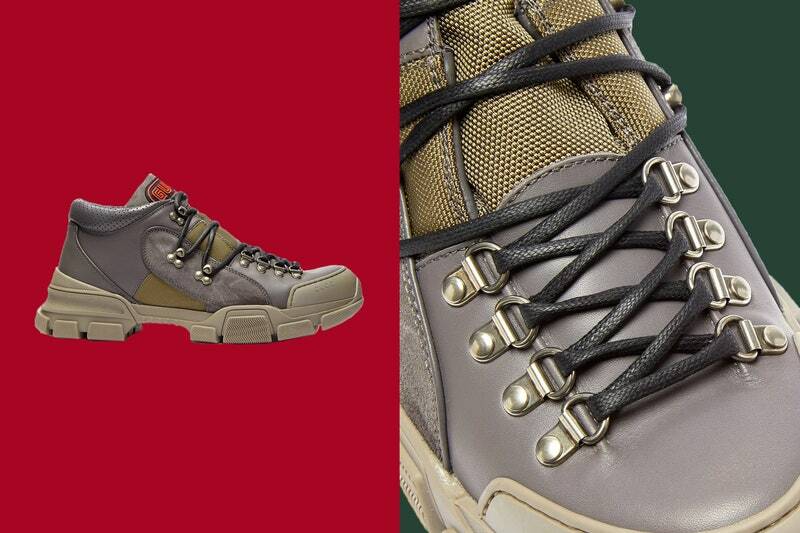 With the Flashtrek boot, Gucci has given a pair of hiking shoes exactly the type of lavish makeover that we’ve come to expect from the storied Italian label. To start, the shoe features a mix of upscale leather, suede, and canvas panels in various shades of dusty gray and murky green. There’s also an ultra-rugged rubber sole stacked high enough to give Balenciaga’s skyscraping Triple S a run for its money. And perhaps the most eye-catching feature: that bright red rubber Gucci logo on the tongue. The shoe hasn’t yet become a regular on the Instagram street-style rotation just yet (unlike, say, Gucci’s chunky-soled Rhyton sneaker), but as summer turns to fall, you can expect to see more trail-ready boots in the mix. Plus, Offset of Migos—one of the true kings of loud-as-hell footwear—has been spotted wearing the boot, which means the new style is about to get a lot more eyes on it. This article was originally posted in GQ.